Final Program is available here. Soical Program is announced. Find out more about attending the workshop. Registration is now online! Find out more about attending the workshop. Preliminary program of the workshop can be found here. Please note that the submission deadline has been extended by two weeks! The new deadline is September 15. Registration for the workshop will be open after author notification. Posters and submission information is available. ACM SigConf Templates for submission using the EasyChair conference management system. Poster for advertisement is available. All accepted papers will be published in the Scopus-indexed ACM Digital Library. The next EOOLT workshop will take place near Munich, Germany, on December 1, 2017. Please register early to help us plan for the workshop and your participation. The locations of the social event sites will soon be announced. In case you want to bring your partner to the social event on Dec. 1, please contact Dirk Zimmer directly. The EOOLT workshop is hosted by the Institute of System Dynamics and Control of the German Aerospace Center. 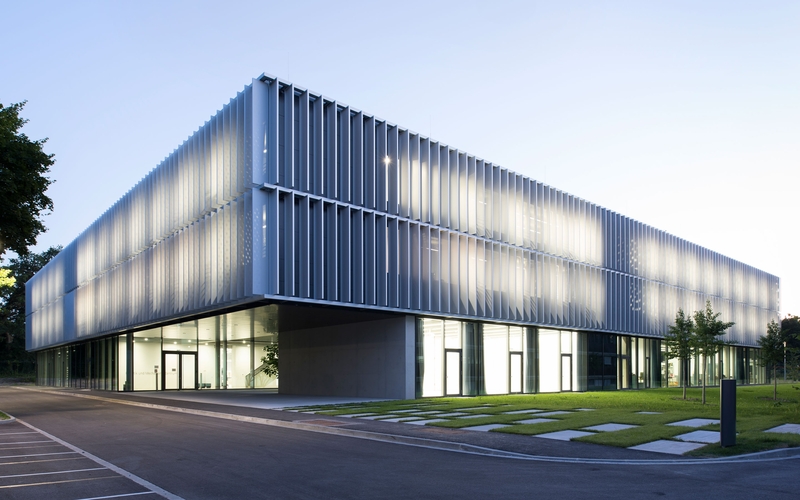 The lecture hall is located in the newly opened Robotics and Mechatronics Center at the DLR site in Oberpfaffenhofen near Munich. This site can be reached within 45min from Munich city centre by public transport. At lunch-break, a tour through the laboratories will be offered for the partici- pants of the workshop. In the evening, a Bavarian dinner will be offered as social event. Information on the location and how to get there is found here. On November 30 we do a little round trip through Munich Center: https://goo.gl/maps/6TxLU34pj3J2 The host is going to be at Marienplatz from 17:45 on. At 18:00, we start at Marienplatz. We meet at the north-east corner where the shop “Ludwig Beck” is offering a small roof and there is also a subway exit. From there, we pass by the city-hall and pass by the Frauenkirche. At 18:30 (maybe earlier) we shall arrive at the Wittelsbacherplatz where a medieval Christmas market is placed. We expect the place to be very crowded. Hence it is better to join before at Marienplatz and then go there together. On the evening of December 1, we shall spent our dinner together in “die Post” in Herrsching near lake Ammersee at 19:30. The restaurant can be reached by public transport, via the line S8, direction Herrsching. Certainly, there will be a group of people transferring from the workshop. If you prefer to stay in the city, then we recommend to stay close to the line S8 on the west part of the city. There are plenty of hotels near the main station that will do the job. From there you can walk to the city center and get to the workshop venue at DLR within 60min (train ride + bus or walk).